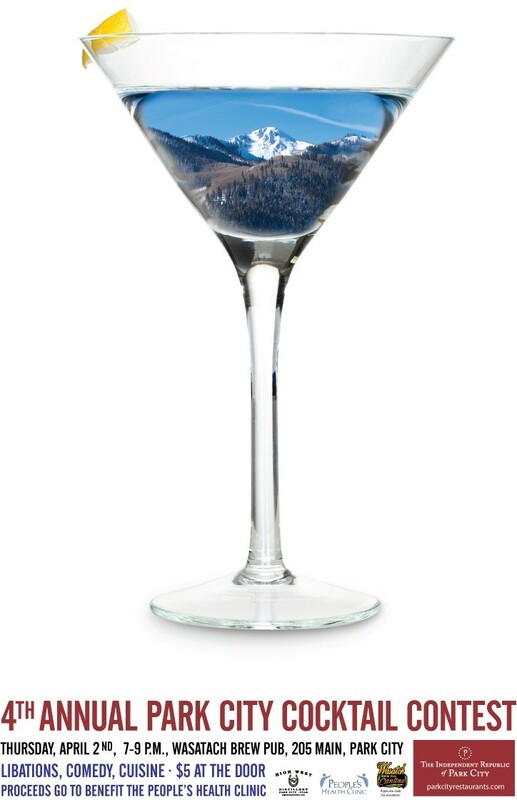 Come on up to Park City this Thursday, April 2nd for tons of crazy cocktail fun. Park City's best and most creative mixologists will be gathered at the Wasatch Brew Pub Cantina, from 7 to 9 PM, to face off with their best signature cocktails. It'll all take place at the 4th Annual Park City Cocktail Contest. The winning libation will become Park City's Signature Cocktail for 2009. The public is invited and the evening includes live entertainment, food,%uFFFDa raffle and plenty of shenanigans.%uFFFDThe $5 entrance fee goes to benefit The People's Clinic, a non-profit health clinic providing high-quality medical services to uninsured individuals and families in the Park City area. Just another fine reason to visit the People's Republic of Park City.